It says something about the enduring legacy of Disney’s neon-drenched Tron franchise that we’re still talking about it, seven years after Tron: Legacy was met with a digitally reconstructed shrug at the box office. Now, CinemaBlend has some new details about what the long-delayed third movie in the series might entail, talking to potential Tron: Ascension director Joseph Kosinski about his visions for where the films could go in the future. Straight out of the computer, apparently; Kosinski laid out a plot structure for a third movie that would see the Flynn family spend only the middle act of the movie inside the digital world, instead focusing on Olivia Wilde’s Quorra character as she adjusts to life in meatspace. 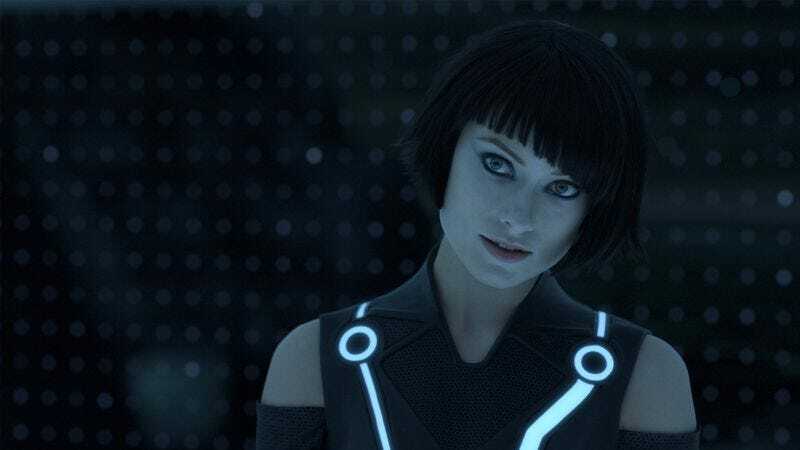 And while “Tron: Fish.exe Out Of Water” doesn’t exactly get our hearts racing, Kosinski did offer up one interesting new twist: Quorra’s abilities allow her to manifest digital creature in the real world. We may not want to watch Garrett Hedlund explain what “trees” are to his new virtual girlfriend, but the idea of lightycycle races tearing down real-world streets does carry a certain visceral appeal. Disney put the third Tron movie in “cryogenic storage” back in 2015, after Tomorrowland flopped, proving moviegoers just don’t care about the future anymore. Still, the company has continued to put time and money into developing the brand; Shanghai Disneyland debuted a Tron-themed roller coaster just last year.